I have to be gentle. My post in early 2010 about Mckmama Drama and Bullies had me questioning blogging in general and the antics of bloggers and their communities of haters, alike. Through the past year and a half, I haven’t re-engaged with discussing the drama, or the new websites that have crept up over Mckmama, because after receiving a few strange threats, it frankly wasn’t worth it. That was, until someone emailed me about the flagrant violations of FCC and FTC guidelines in the newest #AMillionMoms Contest. 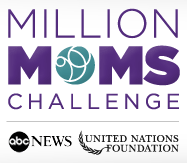 What is the MillionMoms Contest? ABCNews decided to partner up with BlogFrog and national bloggers on a promotion that gives away an Ipad2, plus a gift bag. To win, you visit each blog and comment. Someone is chosen out of the blog with the most comments. What is going on to cause the controversy? The problem is, entries are being deleted by the blog authors, themselves. When questioned, ABCNews, BlogFrog and Mckmama are all giving different answers. 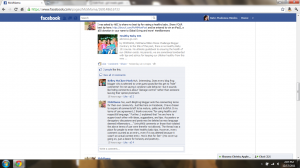 Milehimama brought this to my attention with her passionate reporting and screenshots. Her own comments were ones deleted. When she questioned ABCNews, BlogFrog and Mckmama, she was given multiple scenerios and no clear answer of if her comments would still count as an entry. In FTC Guidelines, an author or promoter of a contest online cannot delete entries as that would be considered, fixing a contest. The worst part, is that commentors are now banned from making any future comments on the contest or BlogFrog. 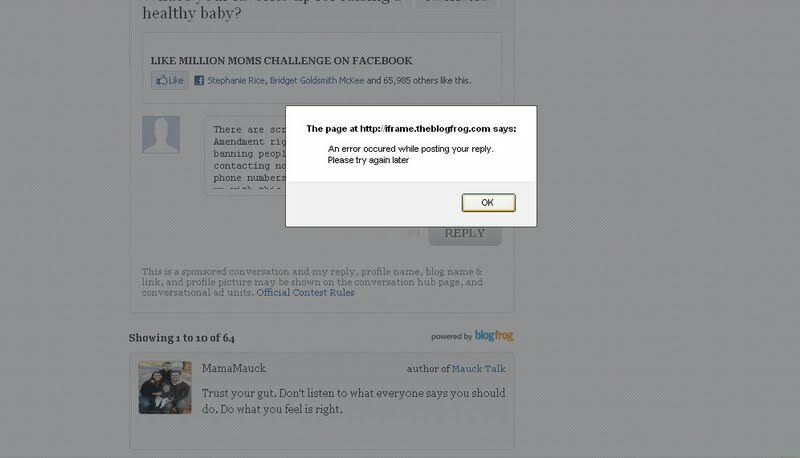 Those that have already been banned on BlogFrog or Mckmama’s community, cannot enter the contest at all. The official contest guidelines can be seen here. It does not state that the author of each article is given the right to delete comments if they are not, ‘favorable or kind.’ Mckmama herself claims that she is only allowing comments through with the following. 1.) “My comment was deleted and I did contact ABC. Gosh all I wrote was Shame on you ABC for not researching MckMama. Really?” - Christina H. 2.) “I don’t have a screenshot of what I posted but here is what it said, in response to others saying their comments had been deleted: There are screenshots of proof that our 1st Amendment rights were taken away, and that by banning people from entering a contest I am contacting not only the FCC but also have phone numbers for ABC and I will be following up with this. There is no reason why comments on this article should have been deleted. Absolutely ridiculous. I posted it under a blogfrog account. When I went back and saw that the comment had been deleted, I tried again to post and there is a screen shot attached showing what it said when I tried to re-post.” - Brittainy L.
Brittainy has been banned on BlogFrog after posting and being censored. I want to be sensitive to all the other bloggers and ABCNews that is mixed up in the giveaway. Sadly, we don’t have all the facts. MileHiMama cannot get a direct answer from ABCNews, BlogFrog or Jennifer Mckinney about the deletion of the comments and whether or not her entries (and dozens of others,) might still count. If they do not count, this is in direct violation of giveaways and the FTC. For more background and Milehimama’s research, click here. I appreciate when people are not afraid to stand for the truth while also giving respect to all sides. Milehimama has done, just that. I’ll be doing my best to update as we learn more. Moving forward, as I often state, I wish companies did their research on who they affiliate themselves with and that those whose comments have been deleted, (as hard as it is,) could stick to the facts and not go on personal attacks. With professionalism, we can change this industry. Though it’s not my place to get into Jennifer’s personal life, (nor do I want to,) the controversy surrounding her alone and her connections with Blogfrog make her own presence in the giveaway a blatant conflict of interest, in my opinion. However, we see this played out daily with other bloggers and giveaways. According to Milehimama’s blog, here are some things you can do to help make the contest right. Phone: 212-456-7777 When I called, I had to (calmly, don’t get mad) repeat that I was calling regarding the Million Moms bloggers posted on ABCNews.com. There were several transfers before I finally was sent to the correct department. I personally spoke with a woman named Kimberly. ABCNews contact form, for technical issues using the site. Missing comments are a technical issue. Contact BlogFrog. Again, save a copy of your comments. Contact the FTC, and fill out their online form. Out of curiosity do you know what happens with deleted entries when using Rafflecopter? Does it go against the rules if you can’t actually do all of the Rafflecopter entries because a blogger has you blocked from following on FB and Twitter? I have run into that problem with a different blogger. Seems that would be rigging a contest too if people can’t, through no fault of their own, actually place an entry. Monica, I truly wish I knew more about the Rafflecopter system. I did some digging on the rafflecopter.com site and found out how they treat deleted entries: http://www.rafflecopter.com/questions/. I hope this helps! Let me know if I can be of further assistance. There are son fuddy-duddys in blogging that do make you question the whole game. You would expect ABC to do their research before agreeing on an ambassador that would represent their brand so poorly.